The Chengdu Motor Show opened its doors in China on August 29. 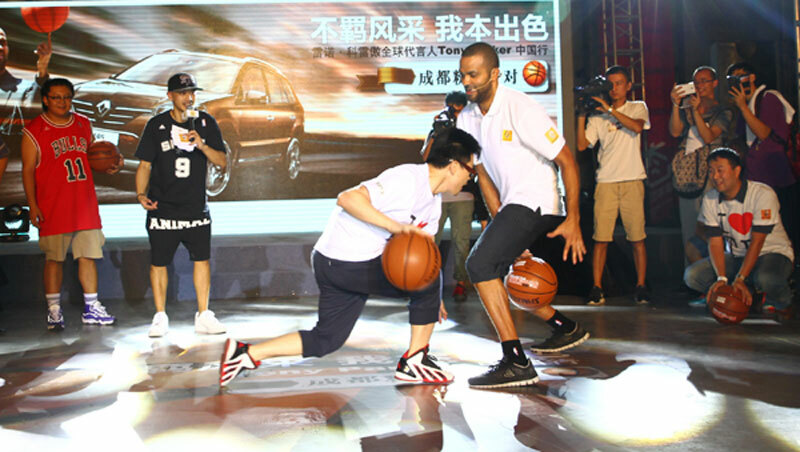 The perfect opportunity for Renault to introduce its limited edition Koleos Sport Way in partnership with French NBA player Tony Parker. The American basketball championship is very well known in China and attracts more Chinese television viewers than Americans'. Koleos Sport Way (limited edition) was introduced to the Chinese public for the first time at the Chengdu Motor Show. It combines an excellent degree of comfort with all-terrain capability, plus a sporting touch. The black leather upholstery with red topstitching aims to appeal to customers looking for “sporty chic” elegance. 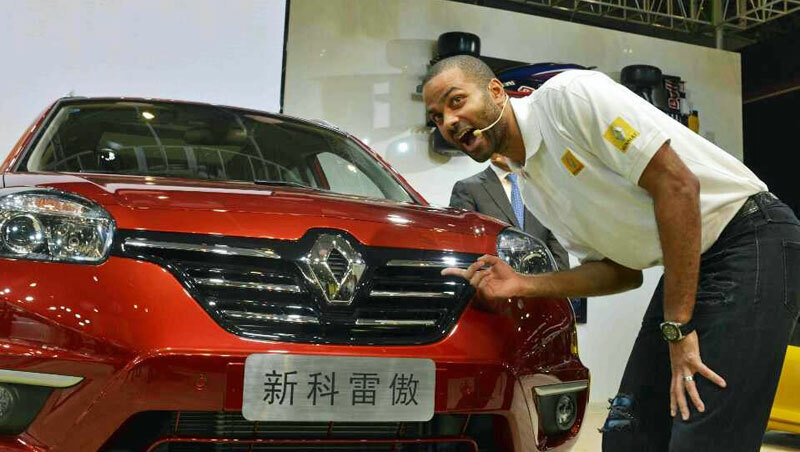 All of Renault's lineup in China is also showcased in Chengdu : Koleos, Mégane R.S., Latitude and Talisman. 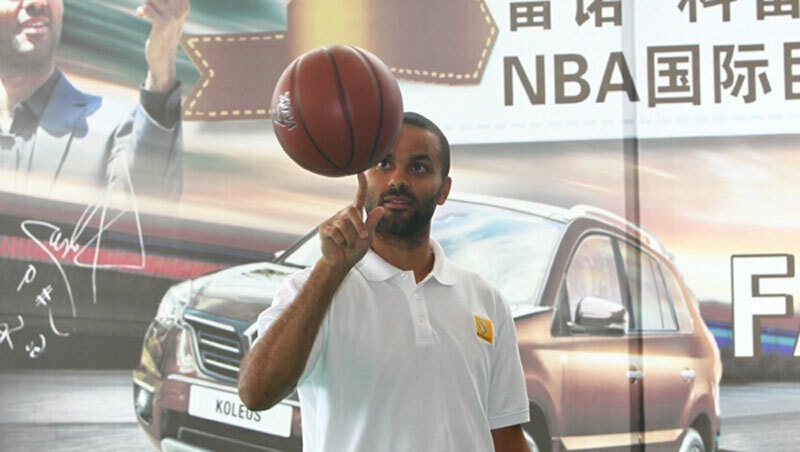 Tony Parker spent 3 days in China, where he had the chance to meet & greet his fans and play ball with them. He also attended Renault's press conference and a charity event with SOS Children's Village. A plant is being built in Wuhan, central China, in partnership with Dong Feng. 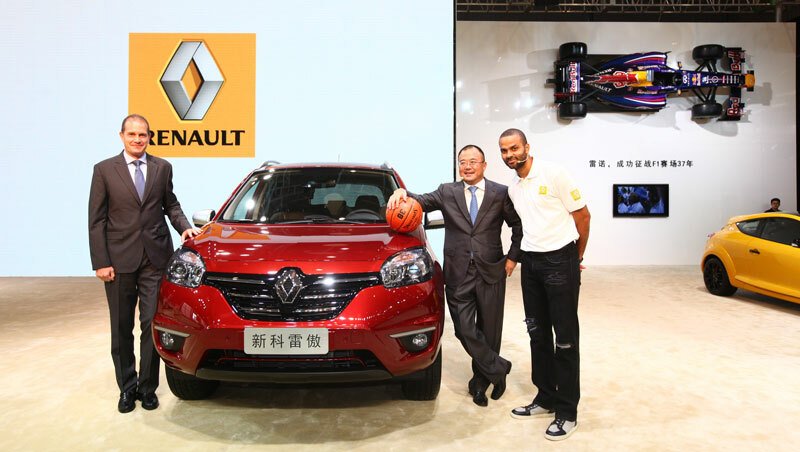 It will start turning out the first Renault models “Made in China” in 2016. Initially the range offered to Chinese motorists will consist of SUVs, including Koleos, and will gradually be expanded in accordance with the demands of the market. Today, Koleos is claiming the lion’s share, with more than 30,000 units sold in 2013 (85% of all Renault sales).